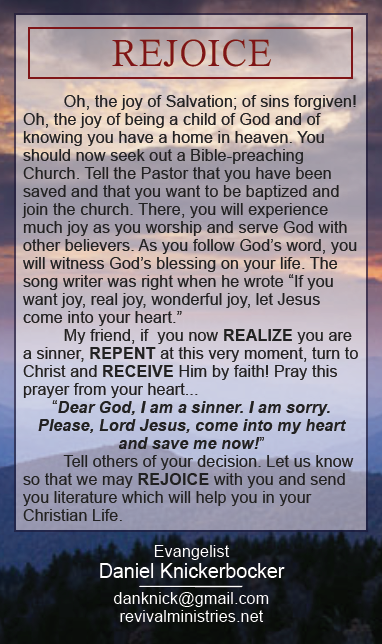 Personalize this tract for your church! 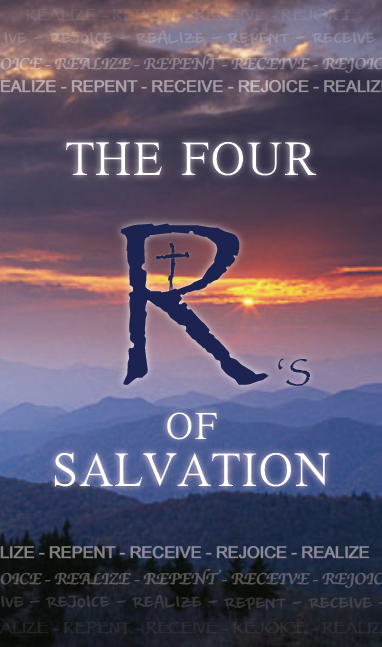 The Four R's of Salvation is available for about 120.00 for 1000 140.00 for 2000 that includes postage to your door. 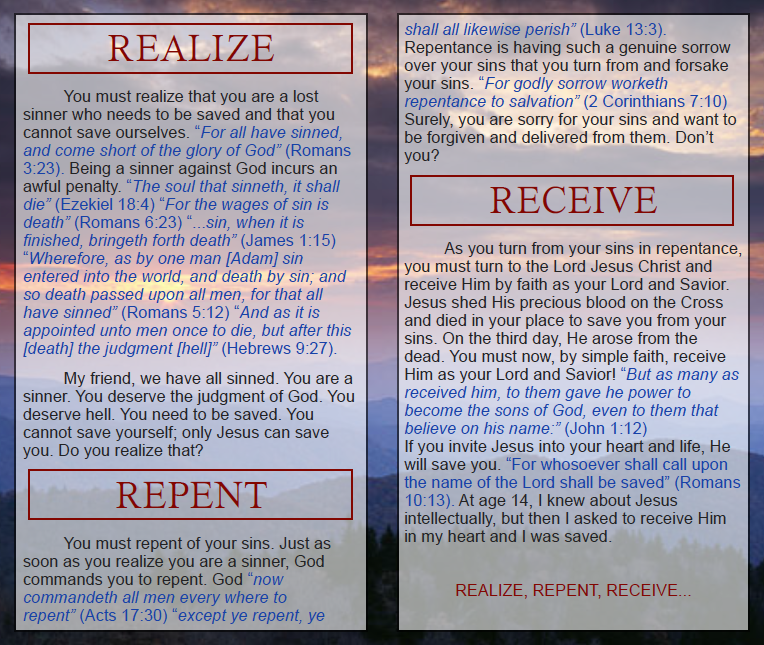 Just call me and I will place your order and possess it and when you get the tracts send me a check.